Superdry women’s Shirt shop infill emboss hoodie. 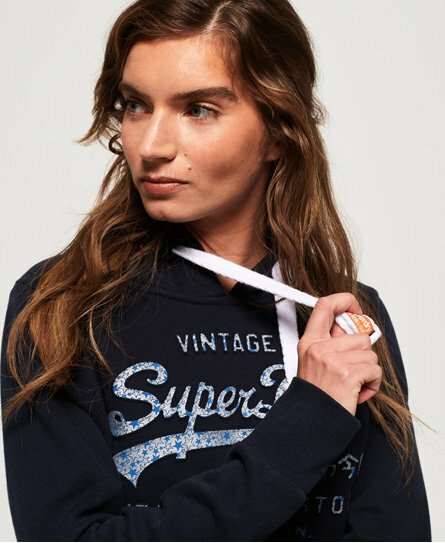 This hoodie features a draw cord hood, a large front pocket to hold your belongings and the iconic Superdry logo embossed across the chest. In addition, this Shirt shop hoodie has ribbed cuffs and hem to create a flattering fit on the body. For this finishing touches, this hoodie has a Superdry tab in one side seam and the signature orange stitch in the other. Pair this hoodie with your favourite jeans for an off-duty look or partner with some joggers for a cosy, comfy outfit.